Last week, I’ve spent 3 days in Porto, Portugal. 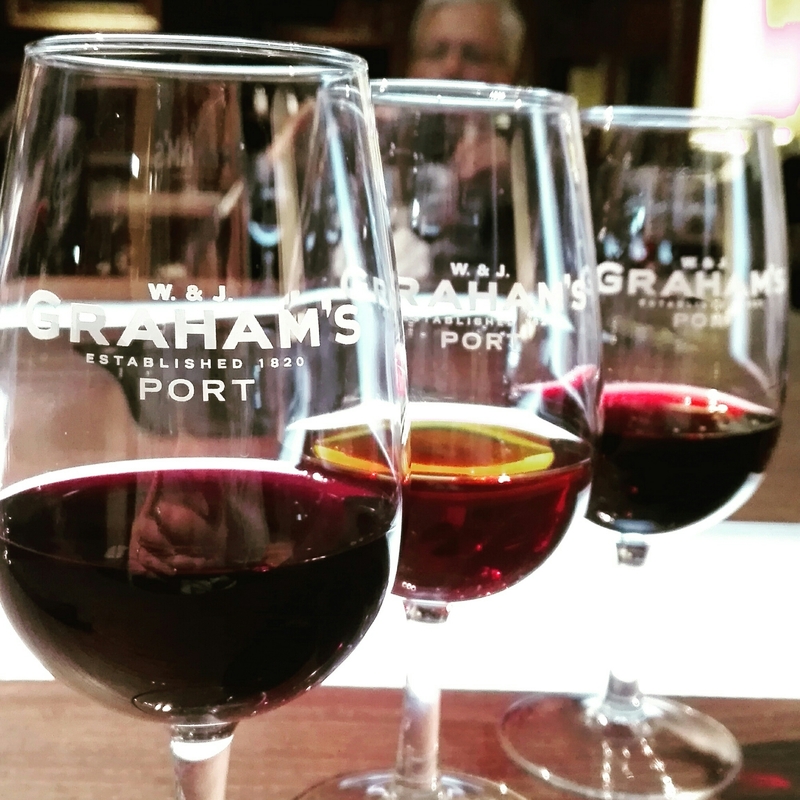 A must-do was of course some Port (port wine) tasting! And not just any, Graham’s! A ruby port wine which tastes a bit fruity. What is this ‘Six Grapes’? 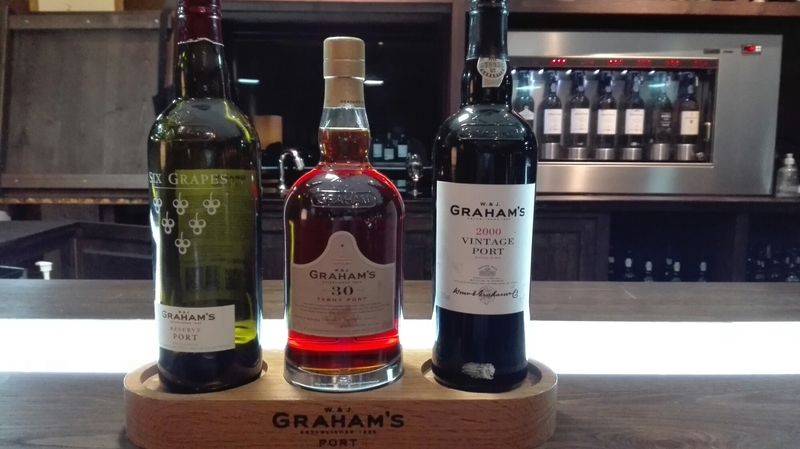 This is Graham’s Reserve Port and is one of the house’s signature wines with remarkable quality, finesse and elegance. It is a full-bodied Vintage Port with rich black fruit on the palate, and fragrant blackberry aromas. Graham’s 2000 Vintage is full and rich, with fresh blackberry and red plum notes. By far my favourite one! They said 2000 was a very good year for the grapes and I think they’re right. It’s a smooth port which makes it very pleasant to drink. Unfortunately the price isn’t that pleasant. What’s the deal between years or numbers on the bottle? When there’s a year on the bottle, such as the Vintage 2000 port, it means the grapes come from a single harvest. All grapes are from 2000, no exceptions. When there is a number on it, such as the 30 years old Tawny, it means they took three different harvests and the average makes 30 years. To give you a simple example of a 10 years old Tawny: they use 8, 10 and 12 so the average becomes 10 years old. 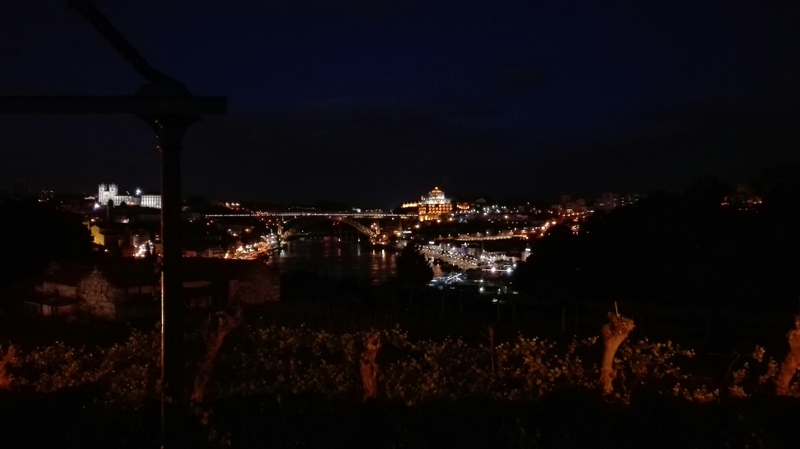 I would love to visit Porto with its great taste of wine and delicious foods. Thanks for sharing. I loved Porto, as a student l had the chance to get a scholarship at the University over there and l had such a great time, even if it was just for a few months. l did not get to taste their wine, since l’m not that much of a fan, but loved their food. Would love to go back there one day. I’m sure you enjoyed the time spent there.